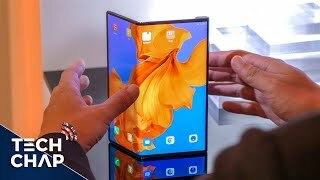 Looks like Samsung didn’t get to be the only company with a foldable phone for too long as Huawei has officially revealed its first foldable phone: the Huawei Mate X. The company announced this new phone just a few days after the Samsung Galaxy Fold was announced. To learn about the differences between these phones and the Huawei Mate X Qatar price, continue reading. 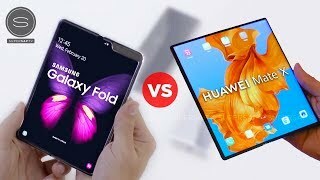 When it comes to foldable phones, we only have one foldable phone that we can compare the Huawei Mate X with which is the Samsung Galaxy Fold. Huawei got some of the things right but there are some flaws as well. There is no notch in the giant 8-inch display unlike Samsung’s phone and users get 86.9% screen to body ratio, 2480 x 2200 pixels resolution and 414ppi of pixel density. Huawei decided to keep the big 8-inch panel outside the surface which means when its folded, part of the display works and leaves user with a 6.6-inch cover display. One of the negative points of this system is, the entire screen remains exposed and might come in contact with harder surface when being used. The screen also looks plastic-y at the moment but it’s possible that its just a prototype and the final product will look different. It also looks like the phone will be available in just one or two different colors after the Huawei Mate X release date Qatar. Huawei managed to surprise us with the camera setup in the Huawei Mate 20 Pro and we are hoping to see something similar or better in the Huawei Mate X. It will show up with a quad camera setup and include: a 40-megapixel 27mm wide sensor with f/1.8 aperture, a 16-megapixel 17mm ultrawide sensor with f/2.2 aperture and an 8-megapixel 52mm telephoto sensor with f/2.4 aperture. The fourth camera will be a TOF one and will have to wait for an official announcement or the Huawei Mate X release date Qatar to find out more. Huawei didn’t reveal much about the front camera and its possible that users will be able to use this camera setup as their front camera. For those of you who are not interested to wait for its release, there is the Samsung Galaxy S10 and S10 Plus you can check out. These are also quite cheap compared to the Huawei Mate X Qatar price. To make sure users get a decent battery life with a display this big, there is a 4500mAh Li-Po battery inside this phone with Huawei SuperCharge technology. According to Huawei, users will get 85% charge in just 30 minutes. Another phone with super fast charging that you can check out is the Oppo R17 Pro. 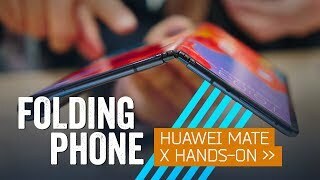 Once we get the phone in our hands after the Huawei Mate X release date Qatar, we will be able to find out more. Some of the other notable features are: Android 9.0 Pie OS, HiSilicon Kirin 980 7nm octa-core processor, 8GB of RAM, 512GB built-in storage, Bluetooth 5.0, NFC, USB 3.1 Type-C port and fingerprint sensor. 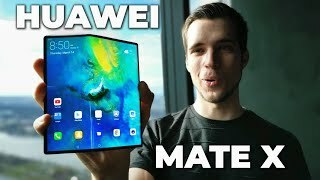 One of the major drawbacks of the Huawei Mate X is definitely its price tag. 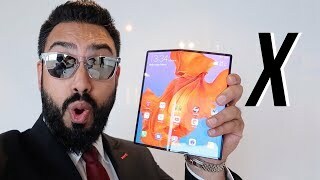 Samsung introduced the Samsung Galaxy Fold as a luxury device with a QAR 7200 price tag but Huawei took it even further. The Chinese company decided to sell this foldable device for QAR 9500 . We don’t know much about the release date of this phone yet but it’s expected to show up sometimes in the second quarter of 2019. 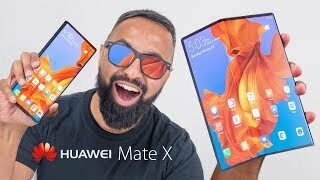 Huawei Mate X Review - The BEST Foldable Smartphone 2019 !